Posted on February 12, 2015, 8:00 am, by Ivan G. Shreve, Jr., under Anniversary, Radio adventure. 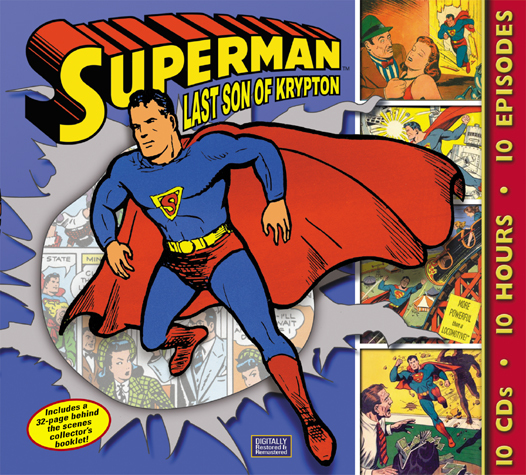 The Man of Steel made his comic book debut in Action Comics on April 18, 1938, and less than a year later (in January of 1939), the costumed superhero creation of Jerry Siegel and Joe Schuster would conquer the world of newspaper comic strips as well. 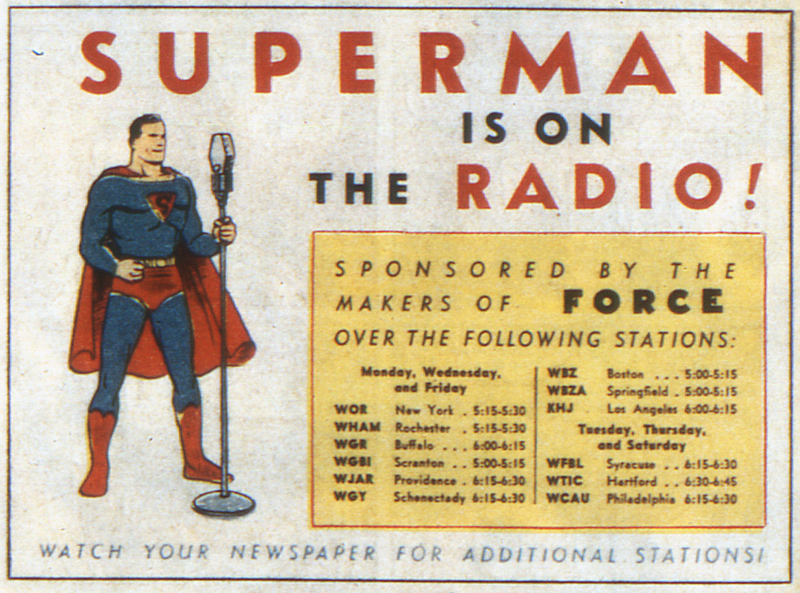 But the induction of Superman—“strange visitor from the planet Krypton who came to Earth with powers and abilities far beyond those of mortal men”—as a genuine pop culture icon didn’t really get underway until the alter ego of mild-mannered reporter Clark Kent detailed his incredible exploits over the radio airwaves. 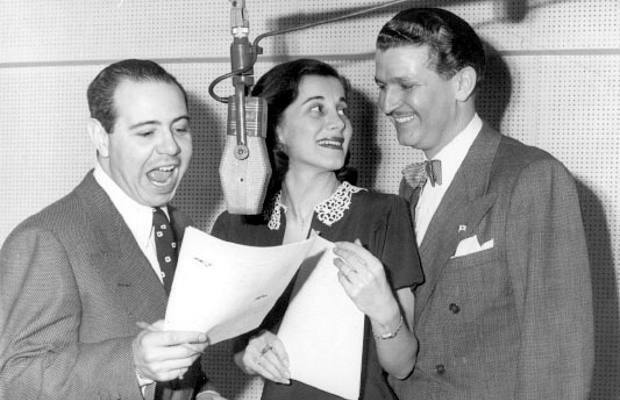 It was on this date in 1940 (after several audition records produced in 1938 and 1939) that The Adventures of Superman premiered as a syndicated series from New York’s WOR, and it would soon become a favorite of juvenile audiences for a decade afterward. For those of you who’ve been encased in ice during the past century, the origin of Superman is pretty straightforward. Kal-El, the son of Jor-El and Lara, arrived on Earth in a spaceship of his father’s design after the destruction of their home planet of Krypton. The atmosphere of Earth would prove beneficial to Kal-El; it helped him run faster than a speeding bullet; made him more powerful than a locomotive; and enabled him to leap tall buildings in a single bound. These impressive feats literally made the Krypton alien a “superman,” and he made it his mission to take on those villains and evildoers who posed a threat to his adoptive planet. Superman disguised himself as Clark Kent, a reporter for the major metropolitan newspaper known as The Daily Planet—which he pretty much had to do, in order to ward off autograph seekers and groupies and the like. The role of Superman was essayed by Clayton “Bud” Collyer, an actor-announcer whose old-time radio resume included such series as Terry and the Pirates, The Guiding Light, The Goldbergs and Renfrew of the Mounted. Superman was unquestionably his most famous role; Collyer would use his normal voice when playing Clark Kent, and then when it came time to let the audience know that “This looks like a job for Superman” his voice shifted an octave lower on the last word to indicate he was now “The Man of Steel.” Bud played Supe on radio for nearly a decade before transitioning to the small screen as one of TV’s first game show hosts—among the popular programs he hosted were Beat the Clock and To Tell the Truth. 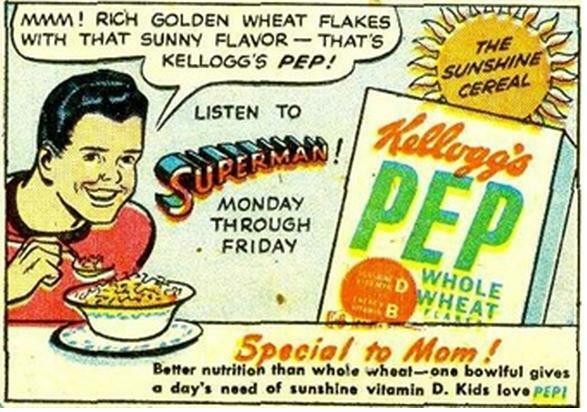 Upon its addition to Mutual’s schedule beginning August 31, 1942, The Adventures of Superman quickly became one of that networks most popular programs; its devoted after-school audience would gather around to listen to their favorite superhero vanquish villains, accompanied by commercials for Kellogg’s Pep cereal (beginning in January of 1943). 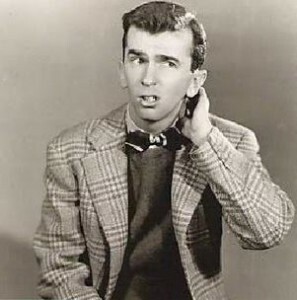 Many of the facets that we associate with the Superman character were actually a by-product of the radio series; for example, to allow lead actor Collyer a little vacation time (because the show was performed live five days a week), his Superman would often briefly disappear thanks to the effects of the powerful substance known as Kryptonite. (The addition of Batman and Robin also came about from the need for Bud to get a little R-and-R.) Most of the stories on the show were serialized in multiple chapters; one of the most famous story arcs was “Clan of the Fiery Cross,” in which The Man of Steel squared off against the Ku Klux Klan. (Spoiler warning: Superman wins.) 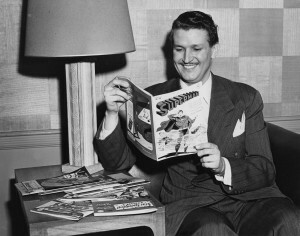 The episodes coincided with a promotional campaign in Time magazine for racial and religious tolerance; it was in those pages that Bud Collyer revealed that he was the voice behind Superman when Time conducted an interview. 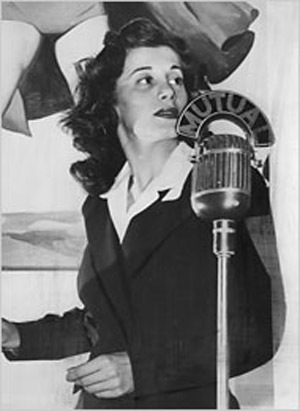 The five-day-a-week quarter-hour that was The Adventures of Superman continued on Mutual until January 28, 1949; three days later the program expanded to a full half-hour while curtailing the output to three weekly broadcasts. Superman continued at its Mutual home until June, and then in October moved to an 8:30pm Saturday slot on ABC with a revamped “mystery” format designed to appeal to an older audience. 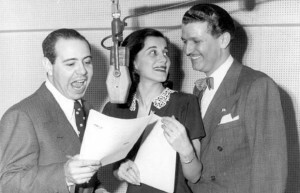 That version of Superman ended on January 21, 1950, and after a period of idleness resurfaced as a twice-weekly afternoon offering on the same network at 5:30 before finally calling it a day on March 1, 1951. 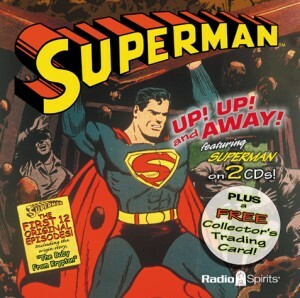 This new Superman did without the services of Collyer; Michael Fitzmaurice replaced him as Clark Kent/Superman, with Jack Grimes replacing Jackie Kelk as Jimmy Olsen and future Wild Wild West master of disguise Ross Martin as the announcer/narrator. Author Tom De Haven recreates the early experiences of The Man of Steel in It’s Superman, a 2005 novel that starts with the formative teen years of young Clark Kent, growing up in Smallville. It’s available for purchase from Radio Spirits, along with a Superman poster and two CD collections: Up! Up! And Away! (a 2-disc set featuring the first twelve episodes of the series) and Last Son of Krypton, which showcases rare quarter-hours from 1948 as well as several half-hour broadcasts from 1949. 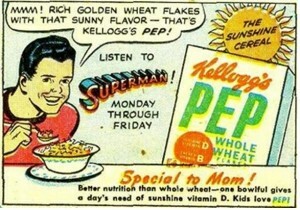 There’s no better way to celebrate the anniversary of the individual who indisputably put the “super” in superhero! Super column, Shreve. Man, I wonder what happened to all my old comics. That date Superman emerged, the American response to the evil forces rolling over Europe, do you think? Kinda prepared us for our inevitable entry? Anyway, I’ve exhausted my Night Beats and am looking for that nice little Radio Spirits catalogue I used to receive in the mail. On its way? 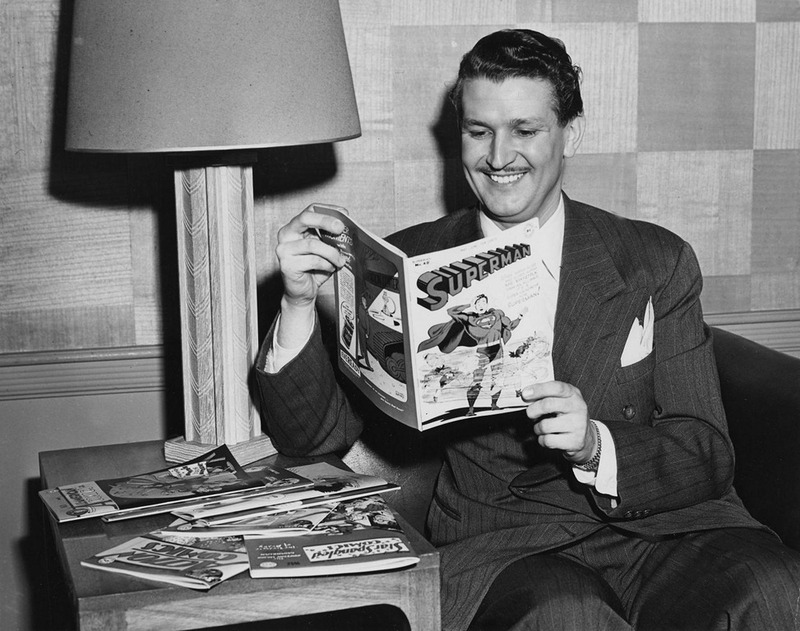 Mr. Collyer also gave voice to the Man of Steel in the Fleischer Superman cartoons from the 1940’s. Lest we forget, Collyer, Alexander (at least in the first season), Grimes, & Beck all returned when Filmation adapted Superman for TV in 1966, which would be Collyer’s last TV gig, aside from To Tell The Truth.